Juvederm Ultra is slightly smoother to inject and slightly less likely to form a bump, compared to Restylane. For "unforgiving" areas, like the lips and tear troughs, I think Juvederm is a better product because it has a smoother consistency. For "forgiving" areas, like the nasolabial folds, marionette lines, frown lines, etc..., I think Juvederm or Restylane are fairly comparable, lasting about 6-8 months on average. If cost is a consideration (and both cost about the same per syringe), I often recommend Restylane. The reason is that Juvederm has 0.8cc in a syringe, while Restylane has 1.2cc in a syringe. Therefore, you have more material to use with one syringe of Restylane, enabling more folds and wrinkles to be improved. Unfortunately, Juvederm doesn't come in any other size, while Restylane also has a 0.4cc syringe (which is cheaper because it is 1/3 the amount of a 1.2cc syringe). Similary, if a person needs more than one syringe of product for correction, it takes 3 syringes of Juvederm (2.4cc) to equal the amount of product in 2 syringes of Restylane (total 2.4cc). This means you have to spend money to purchase an extra syringe of Juvederm. I think the decision of which to use between these two fillers should be a mutual one between you and your treating physician. Treatment goals, area to be treated, cost, and amount of product required are all key factors. Fat injections are excellent treatments. But so are dermal fillers. The question is: "what you are trying to treat?" If you have a crease or wrinkle engrained in the skin, you may need a filler placed in the skin to treat this. Fat is not placed in the skin layers itself, but it is placed under the skin in multiple layers. To treat an area like the nasolabial folds, if you have a sharp crease, you may be better off with a temporary dermal filler like Restylane, Juvederm, Perlane, or Radiesse. I like using the only permanent FDA approved injectable filler, Artefill. Unlike some of the other temporary dermal fillers, results continue to improve with time. Unfortunately, Artes Medical (the company that owns the rights to Artefill) folded a few weeks ago. It had nothing to do with the quality of Artefill, and it is very likely that another company will purchase this technology and it will be back on the market soon. I think fat transfer works great in broad areas of depression or atrophy, and to try to lift the cheek to reduce the heaviness on the nasolabial fold. It is your own material and there is no risk of rejection. I use it in the temples, tear troughs, infraorbital rims, brows, cheeks, and jawline. I tell all my patients that in my hands, 30-40% of the fat I inject stays for 2-5 years, and the other 60-70% is resorbed by the body within about one month postop. So it will likely need to be repeated, but fortunately, most people have enough to give. Botox Cosmetic is a dose dependent drug, like most other drugs. It is usually priced by the number of units used. For example, a patient who is 40 years old may benefit from 30 units, while another 40 year old patient may benefit from 75 units. It is impossible to say without examining you. Much of this depends upon the number of areas you are seeking to improve, the depth of your lines and corresponding muscle strength, heredity, and sun exposure. It makes sense to pay by the unit, because you pay for what you use. If someone charges $350 per site (i.e. the forehead), you may end up paying too much or too little, depending on how much is used. Ultimately, the amount of Botox Cosmetic that is recommended to you by your physician is purely a subjective estimate, based upon the physician's evaluation of your lines and muscle pull, and what he/she "thinks" you need. My approach is to make this estimate, tell the person what this would cost based upon our standard fee of $14/Unit, and then let them decide whether they wish to proceed or not. If they can't afford this, we can always use fewer units of Botox Cosmetic, but the patient knows that it may not be the ideal amount. However, we can always add more a couple of weeks later. I do like to see my patients back two weeks later for a quick recheck. At that visit, we can determine whether the appropriate dose was used, or if we need to add more. After this first treatment and the two week follow-up visit, I have "learned" what Botox Cosmetic dose is ideal for this patient for future treatments. My suggestion would be to go to www.botoxcosmetic.com and find a board certified facial plastic surgeon, plastic surgeon, or dermatologist to perform these injections. Usually, those practices listed near the top are those that have the highest volume of Botox patients. MD Lash Factor™ is a new physician-formulated eyelash conditioner designed to improve the appearance of natural lash length, fullness, and thickness after two months of application. 1 tube lasts an average of 6 months, and costs $140. MD Lash Factor™ is an exciting new product that is now available through our office, The Aesthetic Surgery Center, to highlight your eyes and enhance your femininity. MD Lash Factor was recently featured on FOX 4 news at 10pm. During this segment, this eyelash conditioner was highlighted, and our own Brandi Griffith and Dr. Anurag Agarwal were interviewed. 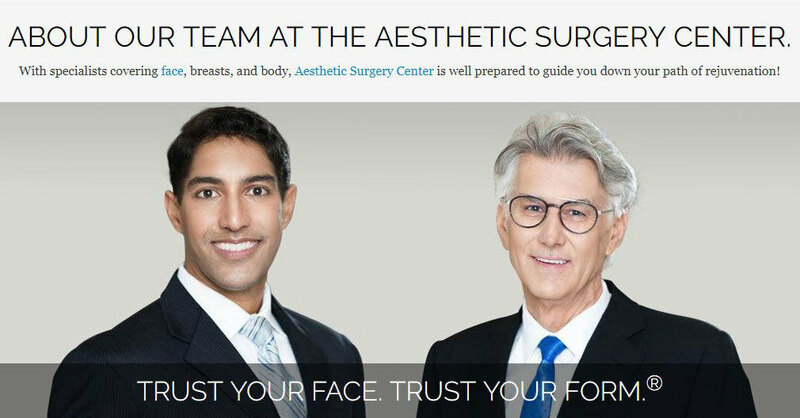 Because of the high volume of BOTOX ® Cosmetic patients in our practice, The Aesthetic Surgery Center in Naples Florida is one of 6 Platinum account offices in Southwest Florida. Allergan, the maker of BOTOX ® Cosmetic, has offered the new BOTOX ® Cosmetic Benefits Card to its Platinum offices, which means that this is now available to you! How it works: Any new or existing patient coming in for their next BOTOX ® Cosmetic treatment will receive a benefits card. You will then need to activate your benefits cards online at Botox Cosmetic Card prior to your next BOTOX ® Cosmetic treatment. Then simply present your benefits cards during your next treatment between 3 and 6 months from the date of your last treatment and you will receive $25 off your bill. The card will automatically reload with another $25 for your subsequent treatment. If you have any questions, please call 239-594- 9100 or visit our website, The Aesthetic Surgery Center in Naples.